Save laura geller to get e-mail alerts and updates on your eBay Feed. Unfollow laura geller to stop getting updates on your eBay feed. LAURA GELLER EYESHADOW PALETTE"THE WEARABLES"
Laura Geller Weekly Wonders Eye, Face and Cheek Palette - 'Saturday Style'. Laura Geller Balance n Brighten Foundation - Porcelain - 9g Full Size Genuine. 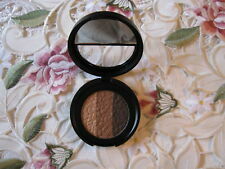 Laura Geller Balance N Brighten DEEP Foundation. Laura Geller Baked Balance-N-Glow Illuminating Foundation-Fair 8g Used Twice. This page was last updated: 24-Apr 05:03. Number of bids and bid amounts may be slightly out of date. See each listing for international postage options and costs.